Hey guys! It's Amy, from The Land of 2nd Grade, and I'm writing today about using positive reinforcement in the classroom. I am one of those teachers that NEEDS order and structure in my classroom. I LOVE doing fun activities, experiments, crafts, centers, and everything else in my classroom, BUT in order to keep my sanity, I have to have my kids ALL being good listeners and following directions. In order to make this happen, I use A LOT of positive reinforcement throughout the day. 1. YES, I use a behavior clip chart! AND I LOVE IT!!!!!!! This helps my students gauge how they are doing throughout the day. My students LOVE getting to move their clips up, so they work very very hard to do this. The kids work sooooo hard to be on pink by the end of the day. If they are on pink at the end of the day they earn a “Stallion Buck”. Our school’s mascot is the stallion and our school does a school store where kids can go spend their stallion bucks to buy coupons and prizes. The kids treat these bucks like GOLD. 2. Another way I use positive reinforcement is with CLASS DOJO. 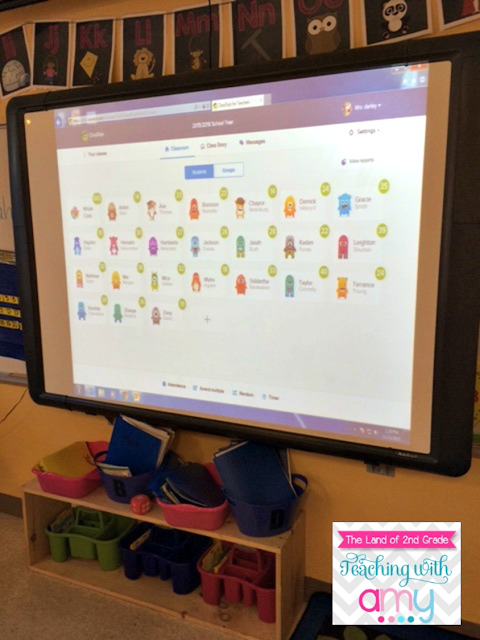 You can see my personal blog post here about how I use CLASS DOJO and my little Point Tracker Freebie. My kids work very very hard to get points throughout the day. This is where I can really use positive reinforcement. During every lesson, I look for people that are participating, focused, and working hard, and I constantly give points to those students. I keep my CLASS DOJO points up on the board for them to see throughout the day. Some teachers don't have the points up, but my students are VERY competitive and I feel like they work harder when they can see others’ points. I don’t ever let any of my students get in the negatives. I do keep the points up all month. Any student that has 100 points by the end of the month gets to be in the 100 point club. The 100 point club gets a day where they eat in the classroom with the teacher, they get to pick a pretty pencil from my stash, they pick a piece of candy, and they get a dress down pass to use whenever they want (our school system wears uniforms so this is a BIG deal to them!). 3. The last thing I do for positive reinforcement is SHOUT OUTS. Every afternoon, I pick 3 students to give a SHOUT OUT to. 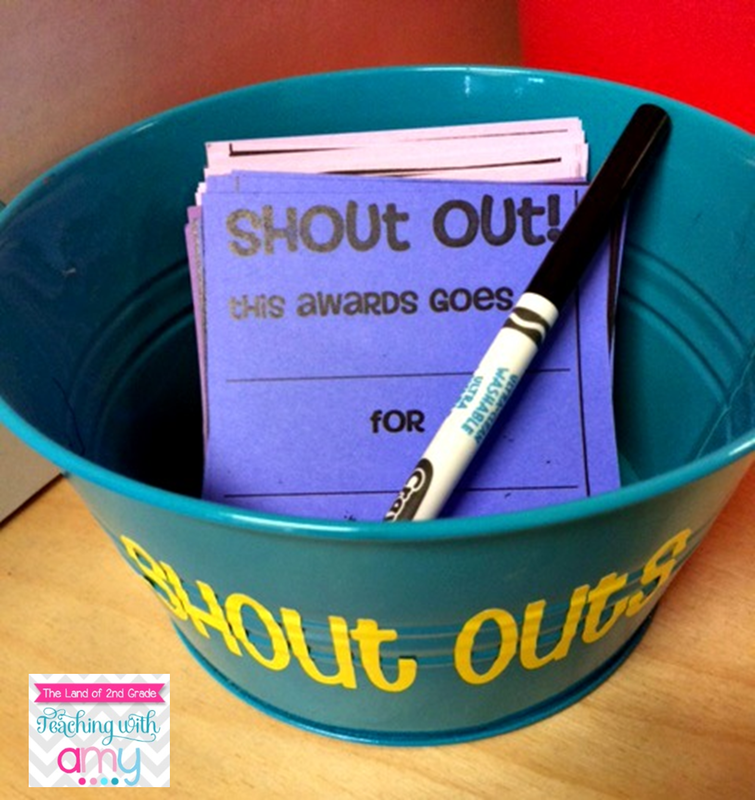 On the shout out, I write something that they did great that day to deserve a shout out. 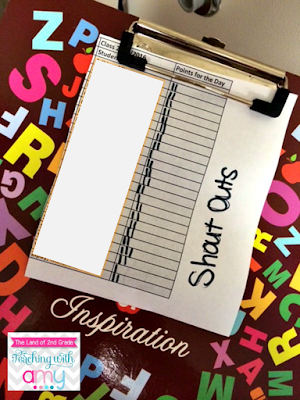 I keep a roster with tally marks to keep track of how many shout outs each student has received. I love this because it’s a daily celebration at the end of every day. The students that get the shout outs get 3 CLASS DOJO points and a stallion buck. I make a big deal about the SHOUT OUTS. I tell them to MAKE SURE to show their parents their SHOUT OUT as soon as they get in the car or get home. As a parent myself, I love seeing that the teacher takes time to notice when my child has been working hard, has done something nice for someone, or notices something great about my child and takes the time to point it out. 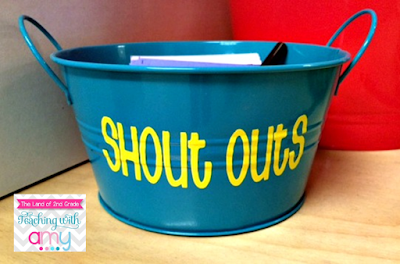 If you would like to download a copy of my SHOUT OUTS for free, just click the picture below. 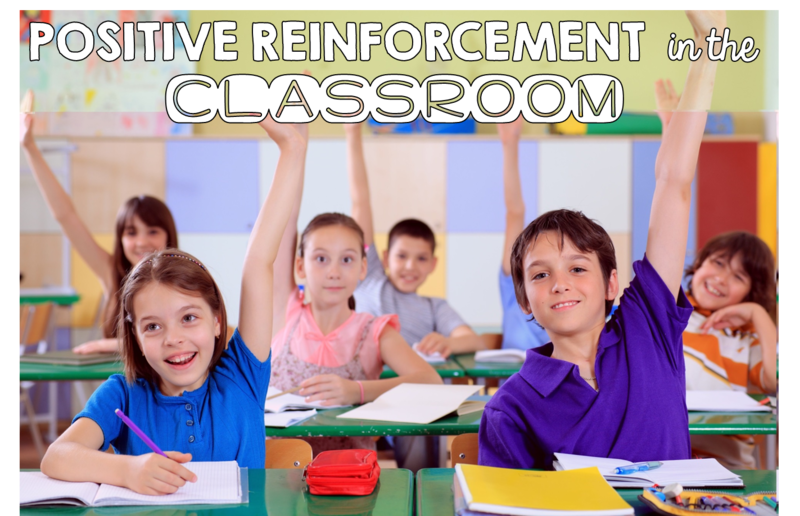 I truly believe that POSITIVE REINFORCEMENT is the key to running a successful classroom! 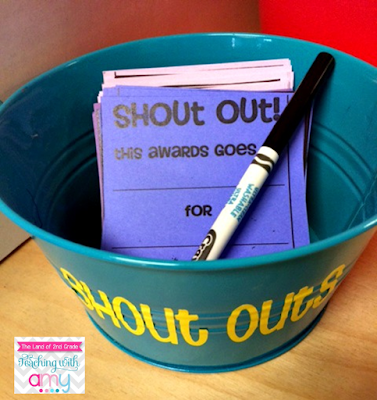 Do you guys have any other ways that you use positive reinforcement in the classroom? I would love to hear about it in the comments below! Have a great weekend TEACHER FRIENDS!! !